Artem Charta - Collector's Edition: "A Game of Thrones"
Collector's Edition: "A Game of Thrones"
Note: currently out of stock, more coming soon! 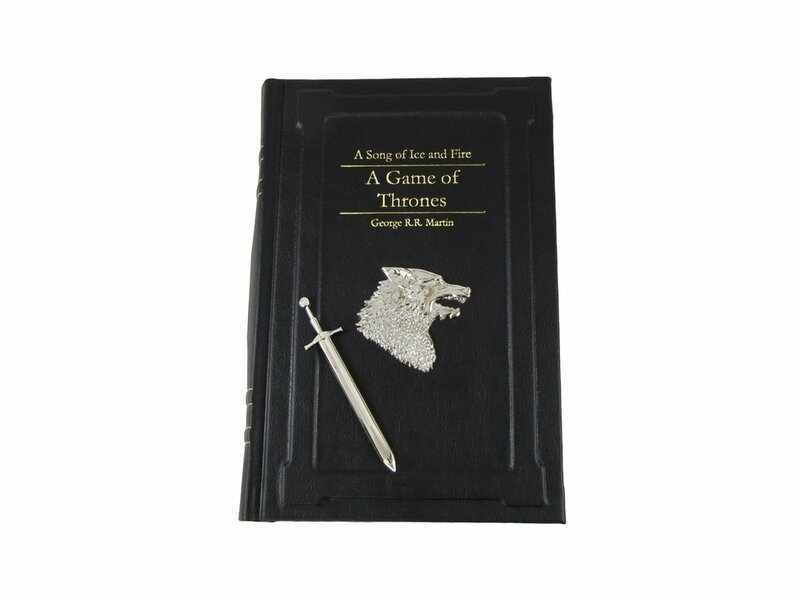 This beautifully rebound edition of “A Game of Thrones” will be the new centerpiece of your book collection. Each volume features premium synthetic leather, polished cast metal nickel plated original artwork, a functional hand-formed raised cover border, and a cleat sewn binding for long lasting durability. There are currently less than 100 copies of this volume in existence, so make sure you grab your copy while you can! A cast metal crest is set into the middle of the front cover, immediately setting this copy apart from any you have ever seen. This original piece of artwork is inspired by elements of the story, and gives the cover a whole new dimension of detail. The title is stamped deep into the cover in beautiful gold metallic text. The gold foil stamping can also be found on the spine of each book identifying its number in the series. The beautifully numbered and hubbed spine features a decorative sword inspired by the the world of A Song of Ice and Fire. The sword is securely held in place by a strong rare earth magnet concealed inside the spine. This also served to center the bookmark on the spine in the same place each time you put it away. Artfully rebound and made to last. You'll be able to enjoy these stories again and again for years to come. This exclusive edition will be highly limited, making these even more collectable. Embossed gold stamping, hubbed spines, and cast metal emblem covers make these limited edition even more unique and exclusive. 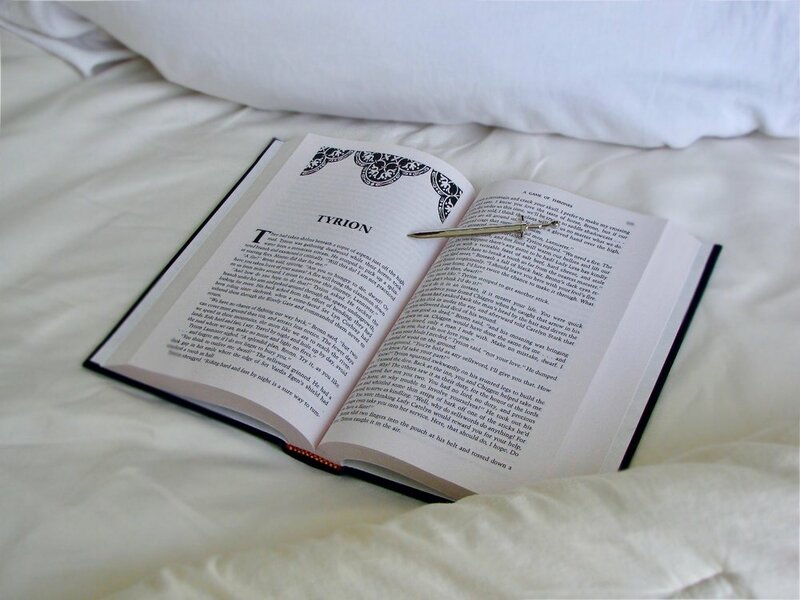 A decorative magnetic sword on the spine doubles as a bookmark. This intentional design means that these books are just as regal sitting on a shelf as they are laying on your bedside table.